While the entire Jamaica is on the team DJ Khaled wagon, veteran Dancehall selector Tony Matterhorn is not amused. The “Dutty Wine” deejay hinted that the “We The Best” CEO got rich and disrespected his day one friends in Jamaica. Tony Matterhorn made the claims recently after record producer DJ Frass uploaded a photo with Khaled saying he was his motivation. “What’s the motivation,” Matterhorn questioned. “Get rich and style your real friends from day one, (Laughing emojis) Judas eventually died,” he added. 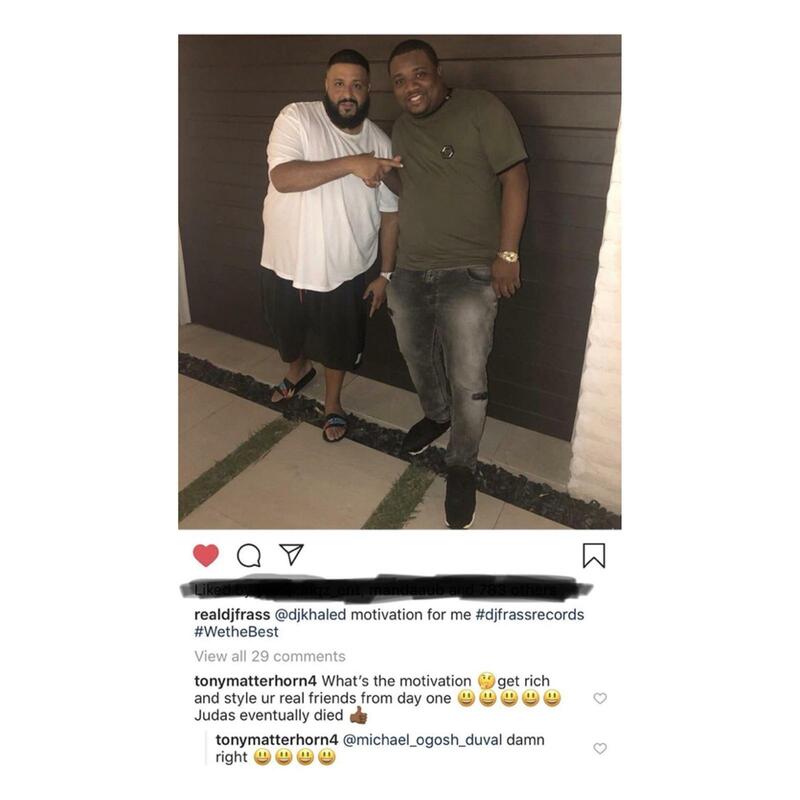 DJ Khaled and Tony Matterhorn were close friends back in the early 90’s right after the music mogul started his disc jockey career.DJ Khaled is currently in Jamaica for a ‘top secret’ mission which has so far included Reggae icon Buju Banton, Sizzla, Bounty Killer and Usain Bolt. He is also in talks to purchase a 14-acre villa from Gordon “Butch” Stewart.